NCP Alcohols | What is Ethanol? Ethanol, or ethyl alcohol, is part of the family of alcohols (methanol, propanol and butanol). It is a flammable, colourless, volatile and slightly toxic liquid with a very distinctive odour. 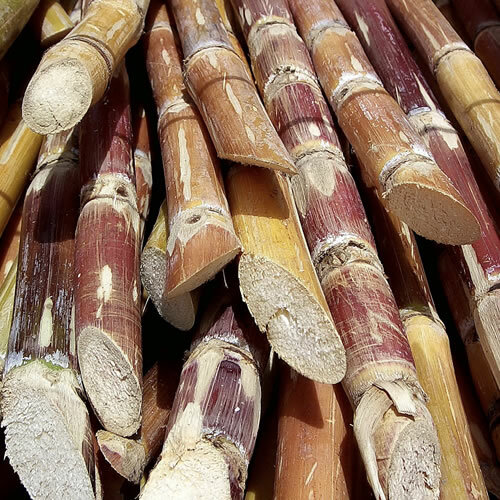 Ethanol is traditionally produced biologically by the fermentation of sugar – making it a chemical compound known to civilisation for several millennia. (Beer brewing, drawing on the fermentation of sugar has been documented as far back as ancient Mesopotamia, although the Egyptians were the first to develop an actual distillation process.) Today, ethanol can also be produced synthetically from petrochemical feedstock. It is an attractive, clean burning fuel, used neat or as an additive to gasoline. It can also be used for heating. A powerful solvent, it is widely used in several industrial applications. It is widely used in the production of cosmetic toiletries, perfumes and aerosols. A reliable antiseptic, it has several pharmaceutical applications. It is a staple of the food industry, notably for the production of vinegar (often viewed as an industrial application). Different grades of ethanol are used in different applications: Low-grade or ‘bad taste’ alcohol is suitable for heating applications. High-purity fermentation alcohol is valuable in the production of white alcohol brands, liqueurs and aperitifs (synthetic alcohol is never used in the drinks industry). Some applications may require alcohol to be rectified through an additional distillation process, dehydrated or denatured (see About Ethanol – Production). As a fermentation alcohol, ethanol can be produced from any feedstock containing fermentable sugars. These feedstocks are commonly divided into four categories: sugar-based raw materials, starch, cellulose raw materials, and excess or by-products of wineries. SUGAR: A common sugar-based raw material is molasses, a residue of sugar refining processes of sugar beet or sugar cane. Others include sugar beet or sugar cane, fruits such as apples or grapes, and a wide range of plants (sorghum, agave, Jerusalem artichokes etc.). These are pressed, sieved, soaked or processed in a diffuser to extract a sugary juice. STARCH: Includes cereals like wheat, maize/corn, rye or rice and tubers such as manioc, tapioca and potatoes. As starch cannot ferment directly, a process is required. Corn, for example, is ground into a fine powder and fed into a mashing system, where it is mixed with water and the enzyme alpha-amylase. It then passes through cookers, where the heat liquefies the starch and the enzymes start to break it down into sugars. The mash is then cooled and pumped to a fermenter. CELLULOSE: Wood, woodcuttings, sawdust and residues from paper factories is transformed into sugar through acid hydrolysis. While this is an effective process with considerable potential in its own right, it requires a lot of energy and produces substantial amounts of methanol (wood alcohol) during fermentation. All ethanol production involves two steps: Fermentation - the enzymatic transformation of organic compounds (like sugar) by micro-organisms (yeast). Followed by Distillation - the separation process of components with different boiling points and physical properties. Fermentation is very sensitive to temperature and acidity, and requires close control. Industrial fermentation can be a batch process (the entire process is contained and completed in individual tanks) or continuous (the product overflows from one tank to the next). The cycle lasts 20 to 30 hours at a temperature of 30° to 32°C and the resulting product, known as ‘low wine’ or ‘low beer’, will be 12 % alcohol by volume at most (yeast becomes inactive in higher alcohol concentrations). An alcohol yield of 50 kg per 100 kg of sugar is considered as acceptable. Fermentation residue can be used as animal feed. Distillation concentrates and purifies the alcohol. At industrial levels, ethanol is produced through a continuous distillation process where a distillation column brings ascending vapour into contact with the descending ‘low wine’ or ‘low beer’ liquid using devices such as bubble caps, valves or sieve trays. This leads to a mass transfer; the alcohol vapour is concentrated in the top of the column, while the original liquid, stripped of alcohol, is discarded as slop at the bottom of the column. Removal of impurities is achieved by boiling point differences by which ‘heads’ (esters, aldehydes etc.) are withdrawn at the top of the column and ‘tails’ such as furfural, higher alcohols or fusel oils at the bottom. Distillation produces a raw alcohol of 95 or 96% strength by volume. These grades depend on the feedstocks used to produce them, by the nature of the production process, and by their degree of purification. Ethanol used in the production of white alcohol brands, for example, would always be high-purity, fermentation alcohol, whereas ethanol for heating would be far less refined. Some ethanol uses require alcohol to be rectified through additional distillation, dehydrated or denatured. Rectification involves a temperature controlled, additional distillation to increase the purity of the ethanol by further removal of ‘heads and tails’ as well as methanol (low-grade alcohol simultaneously extracted can be recovered to improve yields). The final pure product has strength of 96.2 to 96.6 % by volume, a top quality known as ‘surfin’. Dehydration removes water to produce ethanol containing less than 1% water for ‘absolute’ or ‘anhydrous’ alcohol for use in fuel blends, pharmaceutical and chemical applications. This degree of concentration cannot be achieved through distillation alone. Processes developed for this task include azeotropic distillation (where a third product is selected as a water-separating agent) or ‘hydroselector’ molecular sieves (where alcohol passes through sieves which retain the water molecules) and evaporation.